With the increase n the amount of bonding procedures that we do everyday, tissue health has become an even more important conversation. There is nothing more disheartening than removing provisionals to seat the final restorations and looking at red, puffy inflamed gingival tissues. 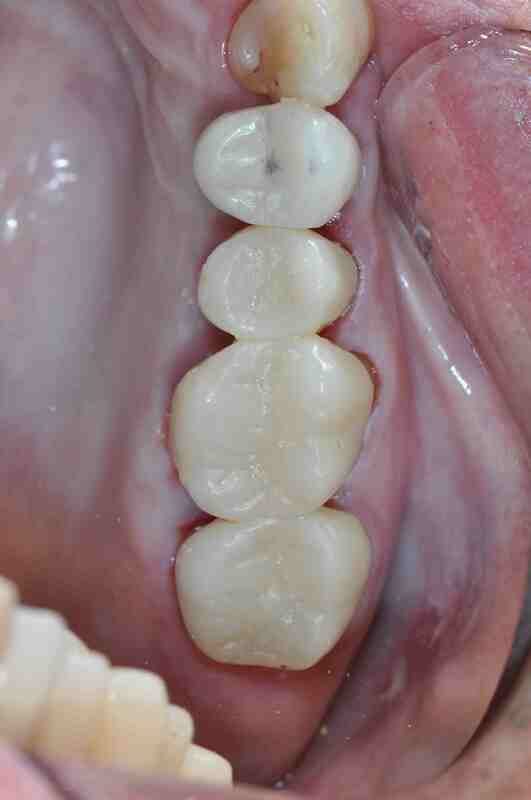 The tissue health is a critical factor to successful bonding and cementation. There are many factors that contribute to the gingival health at the seat appointment. One is the patients oral hygiene. Having myself had splinted provisionals I am clear that very few of my patients are going to use floss threaders. At best we can hope for patients brushing and even then if they are worried about knocking off their temps they will be skiddish about their oral hygiene. Under the best of circumstances well polished provisionals do attract plaque and bacteria, and can be responsible for gingival irritation. So with all of these factors stacking up against us what are some things we can do to assist ourselves and our patients. Chlorhexidine is a great resource that allows patients to come in for their seat appointment with tight pink tissue that sets us up for clinical success. Having patients rinse with Chlorhexidine is challenging, due to the taste and the dark stain that accumulates. An alternative is to have the patient simply dip their toothbrush into the Chlorhexidine and apply it to the teeth. This was an approach I used for years with good success. More recently I have been applying chlorhexidine varnish (Cervitec Plus by Ivoclar) at the end of a prep appointment after cleaning the temporary cement. Seat your provisionals and thoroughly clean the temporary cement. As the last thing before the patient leaves apply chlorhexidine varnish. The varnish lasts for up to ninety days, much longer than we typically need before the seat. It does not have a bad taste, ad does not cause any tooth staining. You will be impressed by the tissue health even in the face of less than perfect oral hygiene, and love the ease of bonding and cementation. Hi Lee- Great tip. 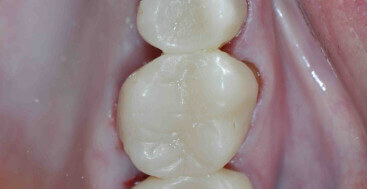 Do you know if it would be useful to apply this varnish to implant healing abutments at implant placement? Thanks for the great work you’re doing with this blog. It’s part of our office culture at this point. I would think this is a great application of the Chlorhexidine varnish. As far as I can research there are no contraindications to Chlorhexidine and implant healing, and the varnish is a friendlier application than the rinse. Great idea, I’ll try it!